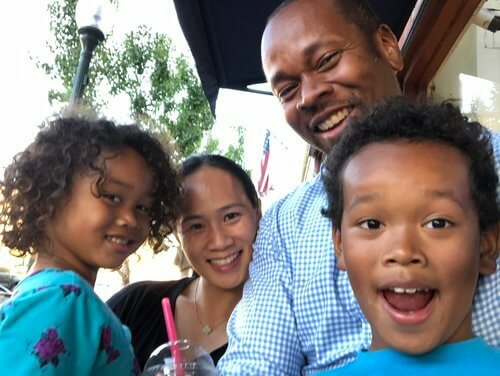 Georgeanna “George” Cheung, designer and senior project manager here at SweisKloss, encourages her kids to take as many opportunities that come their way. The child of a Chinese immigrant family living in a small Midwest town, George wishes she had known that her life was destined to be bigger than she thought. While working in the family restaurants she remembers at some point in her childhood thinking that was what she was going to do for the rest of her life. Although working for the family business has given her a lifelong love and talent for cooking, instead of restauranteur, she has become an accomplished designer with the ability to translate our client’s desires into an attainable reality. Her favorite projects are the ones where she has been able to tune into what the client wants without them even knowing what they want. Getting a client to exclaim with excitement “oh my gosh, that is exactly what I want!” is her specialty. When asked what aspect of design she is most enthusiastic about, she doesn’t hesitate saying “I love tile. I love the rhythm of the patterns, the penetrating colors. I love tile.” A close second is cabinetry, she says it is a trick to design cabinets as functional, capable of storing and hiding away belongings, while keeping the design aesthetically enjoyable. This past year George took the opportunity to design her own home. It was important to her to create “nooks and crannies” designed specifically for each person. The kids got cubbies, closets with spaces in which to hide, and cabinetry, lots of cabinetry. Her husband’s home office nook was built with a location for his keyboard, computer monitor AND laptop. And she carved out plenty of space in the kitchen for managing kid’s homework and arts and crafts, and for the day to day hustle and bustle of building a family. But before building her career and family, Georgeanna was just a small town girl. And just a city boy, Richard was raised in Detroit. They were high school sweethearts. George says she grew up fortunate to have a family that gave her every available opportunity for growth and enrichment in a small town. George took music lessons, dance lessons and ice skating lessons. Her parents were very encouraging and supportive. But as small business owners (in addition to the two restaurants they also ran two bars and a hotel) they couldn’t always be present in their children’s lives. For their children, Ellis, age 9, and Dahlia, age 5, George and Richard are diligent about being their advocates, their chauffeurs and being present. Ellis is involved in Cub Scouts, takes piano lessons and plays football. Dahlia plays piano and takes swimming lessons. George and Richard tag team participating in it all. It is her dedication and charm that makes us proud and privileged to have Georgeanna as a member of our design + construct family.